Last night we held our tenth volunteer induction of 2018 and welcomed 14 new volunteers taking the 2018 total to 132 new volunteers, placements and work experience since the start of the year inducted during these events. Last week we held our ninth volunteer induction of 2017 where we greeted 6 new volunteers keen to help the work of the GSPCA taking this years inducted volunteers to a total of 130 not including others that have helped from businesses, groups and other organisations. Last week Ella, Alex, Susan, Kieren, Sharon and Natalie joined the team of which 3 have already started volunteering at the Shelter. 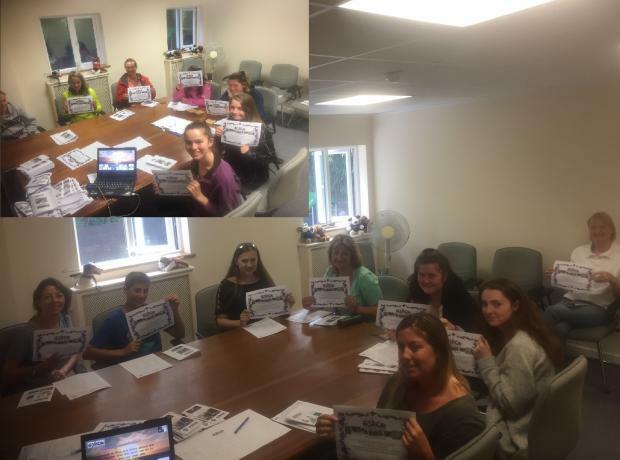 Last week we held our seventh volunteer induction of 2017 and on Tuesday our eighth at the GSPCA and saw a wonderful 14 new helpers keen to learn how they can get involved with us here at the Animal Shelter adding to the 110 inducted this year taking this years inducted volunteers to a total of 124 not including others that have helped from businesses, groups and other organisations. Our 8th volunteer induction evening of 2017 takes place on Tuesday 11th July at 630pm. 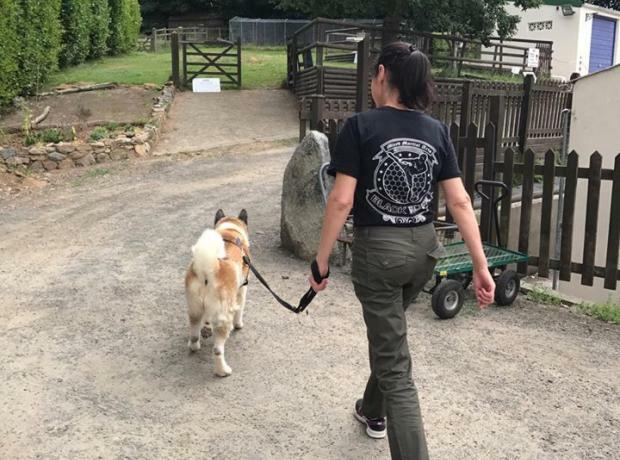 We are always looking for volunteers to help at the Shelter in a variety of roles. On Tuesday we held our sixth volunteer induction of 2017 at the GSPCA and saw a wonderful 9 new helpers keen to learn how they can get involved with us here at the Animal Shelter adding to the 89 inducted this year taking this years inducted volunteers to a total of 98 not including others that have helped from businesses, groups and other organisations. Last week on Thursday 4th May we held our fifth volunteer induction of 2017 at the GSPCA and saw another packed room of 12 new helpers keen to learn how they can get involved with us here at the Animal Shelter adding to the 77 inducted this year taking this years inducted volunteers to a total of 89 not including others that have helped from businesses, groups and other organisations. Last week we held our fourth volunteer induction of 2017 at the GSPCA and saw another packed room of 15 new helpers keen to learn how they can get involved with us here at the Animal Shelter adding to the 62 inducted this year taking this years inducted volunteers to a total of 77 not including others that have helped from businesses, groups and other organisations. 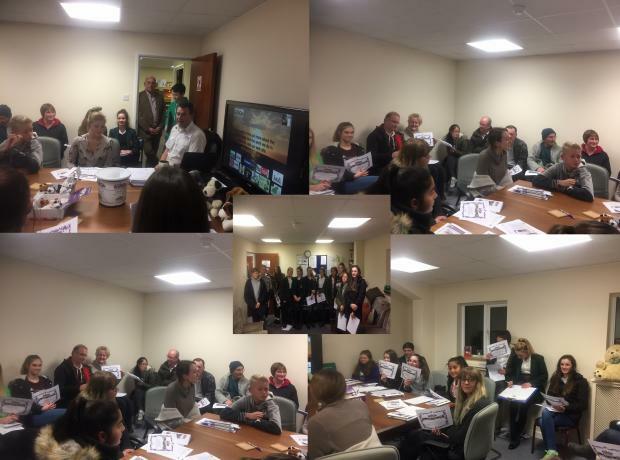 Last night we held the third volunteer induction of 2017 at the GSPCA and saw another packed room of 15 new helpers keen to learn how they can get involved with us here at the Animal Shelter adding to the 47 inducted this year taking this years inducted volunteers to a total of 62 not including others that have helped from businesses, groups and other organisations. Last night we held the second volunteer induction of 2017 at the GSPCA and saw a packed room of 26 new helpers keen to learn how they can get involved with us here at the Animal Shelter adding to the 21 inducted last month taking this years inducted volunteers to a total of 47. The induction took place just after 6.30pm with GSPCA Manager Steve Byrne talking to the group about who we are, what we do, the ways volunteers can help and an induction of how to help safely to all 26 new volunteers who were aged from 13 years upwards. On Thursday we held the first volunteer induction of 2017 at the GSPCA and saw a packed room of 21 new helpers keen to learn how they can get involved with us here at the Animal Shelter. The induction took place just after 6.30pm with GSPCA Manager Steve Byrne talking to the group about who we are, what we do, the ways volunteers can help and an induction of how to help safely. GSPCA staff member Gilly McClean was also there to help and chat to the group of new volunteers aged from 13 years upwards.